Model of the Aleppo Great Synagogue at the Museum of the Diaspora, Tel Aviv. The synagogue, damaged in the 1947 riots, is thought to have been largely destroyed. Writing in the Jewish Chronicle, Emma Klein laments the destruction of the Christians in Aleppo. The city's now extinct Jewish community had included her own family, the Douek Cohens. Aleppo has always held great resonance for me, since my paternal ancestors found refuge there in 1492, after the expulsion of the Jews from Spain. The city was part of the Ottoman Empire, a centre of great tolerance which became a refuge for many communities. My family remained there for 300 years before leaving for India, which had just become part of the British Empire and must have offered great potential for prosperity. Jews had been settled in Aleppo since Biblical times and the name Douek was well known. Our family name was Douek Cohen and there are still some relatives bearing that name today. During the visit of one of my cousins to Aleppo in the early 1960s, she met members of the Jewish community who were living in great fear. Very recently I met a young man, Rob, whose family had fled Aleppo a few years later. One of his ancestors was also called Douek. The family had been well established in Syria, until things changed with the founding of the state of Israel*. Rob's grandfather used to go round Aleppo before Shabbat, giving money to the poor. His mother was educated by nuns. Their relatively grand house was partly taken over by the Syrians. During the Six Day War, Rob's mother recalled that they were given refuge in the Italian Mission Hospital, run by nuns who were subsequently beaten and raped for helping Jews. By then, too, Rob's grandfather was frequently tortured on his way home from synagogue and Syrians would enter Jewish homes in the middle of the night to ensure no Jew had escaped. The family's eventual flight from Aleppo in 1971, via Beirut, where they stayed for several months, was quite dramatic. The Aleppo Jewish community believed that what had protected Aleppo's Jews for centuries was the Aleppo Codex. Written in the 10th century, this bound manuscript of the Hebrew Bible is considered by many as the most authoritative version. 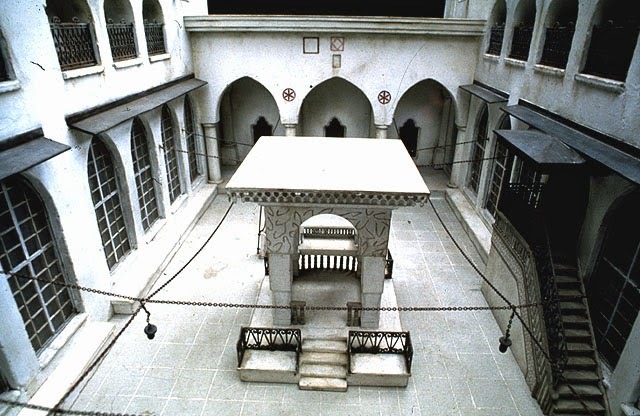 It was consulted by Maimonides himself, and it is believed that it was brought to Aleppo in 1375 by one of his descendants who thought that it would be the safest place for this religious and scholarly gem. There it remained, until the synagogue where it was kept was burned down by rioters, following the UN decision in 1947 to establish a Jewish state in Palestine. Eventually it was smuggled, in a washing machine, into Israel in 1958 by a Syrian Jew, and presented to the Israeli president. It was discovered that some pages had been lost, and more disappeared in Israel. Christians, too, made up part of the Aleppo mosaic of communities. One distinguished clergyman, the 17th century scholar, Henry Maundrell, served in Aleppo for six years until his untimely death in 1701. In 1697 he travelled from Aleppo to Jerusalem and his book, Journey from Aleppo to Jerusalem at Easter AD 1697, is considered a minor travel classic. Today, Aleppo's Christians live in great fear and most who could afford to, have fled. Antoine Audo, bishop of Aleppo for 25 years, wrote recently of the "daily dose of death and destruction" and pointing out while there are 45 churches in Aleppo, the Christian faith was "in danger of being driven into extinction". 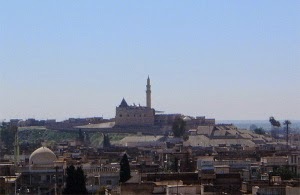 In 2006, Aleppo won the title of Islamic Capital of Culture. Today, thousands of years of history are in danger of being reduced to little more than a huge pile of rubble. Had the Western powers intervened, as they did in Libya, where, of course, there was oil, they might have saved this outstanding location of refuge, scholarship and culture from destruction. Turkey will keep its Jewish citizens safe, but the Jewish community should denounce Israel, Prime Minister Recep Tayyip Erdogan told a Turkish newspaper. “Jews in Turkey are our citizens. We are responsible for their security of life and property,” Erdogan told the Daily Sabah. PARIS: France said Monday that it was ready to welcome Christians from northern Iraq who have been told by the Al-Qaeda offshoot group now ruling the region to either convert to Islam, pay a religious levy or face death. Islamic State insurgents seized large swaths of northern Iraq last month, prompting hundreds of Christian families in Mosul to flee a city that has hosted the faith since its earliest years. "We are providing aid to displaced people fleeing from the threats of Islamic Sate and who have sought refuge in Kurdistan. We are ready, if they wish, to facilitate their asylum on our soil," France's foreign and interior ministers said in a joint statement. "We are in constant contact with local and national authorities to ensure everything is done to protect them." Iraqi Prime Minister Nouri al-Maliki earlier this month condemned the treatment of the Christians and instructed a government committee to help those made homeless. However, he has not said when the army might try to win back control of Mosul. Islamic State has warned all women in Mosul to wear full-face veils or risk severe punishment. The Sunni insurgents, who have declared a caliphate in parts of Iraq and Syria, also view Iraq's majority Shiites as infidels who deserve to be killed. In spite of saturation press and media coverage of the Gaza conflict, rarely are Hamas's objectives put in historical perspective. Hamas are not Palestinian nationalists but Islamists. Governments and pundits talk about the need for an end to violence and a 'diplomatic solution ': sit down and talk. But Hamas, an acronym for Islamic Resistance Movement, simply does not have a negotiating position, short of the annihilation of Israel and the subjugation of Jews to Muslim rule, as per its Charter. Even the UK Hamas representative Azzam Tamimi makes clear that Hamas does not want a truce in order to aspire to a more peaceful life for Gazans, whom it cynically exploits as victims and human shields. He admits that Hamas only wants Israel to capitulate to its pre-conditions. Hamas would then steal a march over Fatah by appearing to be the only Palestinian force which could gain concessions from Israel - and so be better placed to wage the next war, or intifada. Hamas is the local Gaza branch of the Muslim Brotherhood. Its ideology has two dominant features: Islamic imperialism and extreme hatred for Jews, routinely broadcasting calls for genocide. Thus it shares certain characteristics with ISIS, the jihadist terrorist army sweeping across Syria and Iraq, and Boko Haram, who are terrorising northern Nigeria and kidnapping Christian schoolgirls. Founded in Egypt in 1928 by Hassan al-Banna, a teacher, the Muslim Brotherhood was directly inspired by the rise of Nazism, as well as Mohammed's campaign against the Jewish tribes of Arabia in the Koran. By the late 1940s the German-funded Brotherhood's membership had rocketed - if you'll forgive the pun - from 800 to 500,000. The movement only ever targeted the Jews and other non-Muslims - and more specifically, the Jews of Egypt. This campaign was set off by the 1936 uprising in Palestine directed against Jewish immigration and initiated by the notorious Grand Mufti of Jerusalem, Haj Amin al-Husseini. Between 1936 and 1938 the Brotherhood organized mass demonstrations in Egyptian cities under the slogans "Down With the Jews!" and "Jews Get Out of Egypt and Palestine!" Leaflets called for a boycott of Jewish goods and shops. The Brotherhood's newspaper, al-Nadhir, carried a regular column on "The Danger of the Jews of Egypt," which published the names and addresses of Jewish businessmen and (allegedly) Jewish newspaper publishers all over the world - attributing every evil, from communism to brothels, to the "Jewish danger." The Jews of Egypt were repeatedly called on to publicly disassociate themselves from Zionism. In June 1939 bombs were planted in a Cairo synagogue and Jewish homes, but this was as nothing compared to the violence to come. In November 1945, just six months after the end of the Third Reich, the Muslim Brotherhood carried out the worst anti-Jewish pogroms in modern Egypt's history, when demonstrators penetrated the Jewish quarter of Cairo on the anniversary of the Balfour Declaration. They ransacked houses and shops, attacked non-Muslims, and torched the synagogues. Six people were killed, and a hundred more injured. A few weeks later the Islamists' newspapers "turned to a frontal attack against the Egyptian Jews, slandering them as Zionists, Communists, capitalists and bloodsuckers, as pimps and merchants of war, or in general, as subversive elements within all states and societies," as Gudrun Krämer wrote in her study The Jews in Modern Egypt 1914-1952 . The rest is, as they say, history. More riots erupted in 1948, thousands of Jews fled, discriminatory laws were introduced against non-Egyptians and in 1956, a third of Egypt's original 80,000-strong community were expelled and dispossessed. After 1967, hundreds more Jews were interned and expelled. The pitiful status of Jews in Egypt today would gladden the heart of any Hamas supporter: the country is almost judenrein, and the few dozen fearful Jews still living there - almost all converts to Islam or married to non-Jews - 'know their place'. It is not for lack of trying that Hamas failed to subjugate the Jews of Israel: the formidable defence system known as Iron Dome, successfully intercepting 90 percent of rockets aimed at Israel's population centres, has thwarted Hamas's objectives for now. Israel's ground forces have prevented a mega-terror attack by uncovering the existence of Hamas's vast network of cross-border tunnels. By the time you read this, Hamas might have agreed to a more 'permanent' ceasefire - once its rocket stockpile becomes depleted or its leadership decimated. And then Hamas will prepare for the next round. The West needs to understand that there is no compromise with Hamas short of it being disarmed, overthrown and replaced by a more responsible government. As long as Hamas rules Gaza, peace between Israel and the Palestinians will be no more than a short interlude between wars. Permanent peace will remain as elusive as a trail of rocket smoke. Is it time for Jews to leave 'Francalgerie'? The traumatic events of 13 July and again on 22 July, when Parisian Jews were forced to barricade themselves inside synagogues to avoid a near-pogrom by angry and violent pro-Palestinian demonstrators, has prompted professor Shmuel Trigano to ask in his Times of Israel blog: is it time for Jews to leave France? In the face of official indifference and media misrepresentation, history is repeating itself for a community that only a generation ago was forced to leave North Africa. 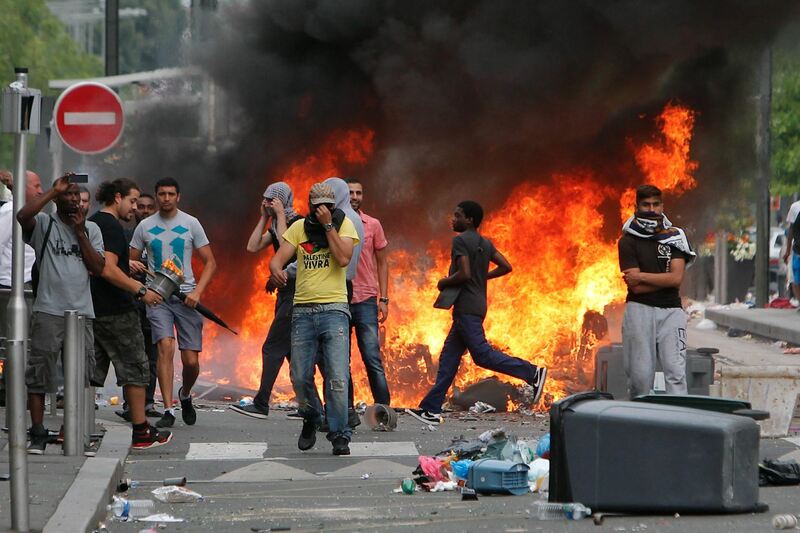 France has become Francalgerie. "Le plus terrible reste cependant la réaction ou l’absence de réaction de la société et notamment des médias. La dépèche de l’AFP est un modèle du genre en matière de réécriture des événements dans le sens de leur dénaturation, mâtinée de l’opinion du grand « expert » en la matière, Pascal Boniface:«Interdire ce type de manifestation serait un remède pire que le mal». Les manifestants fustigeant la cruauté d’Israël sont abondamment cités et bien sûr l’AFP incrimine la Ligue de défense juive. Elle fournit dans sa dépêche un schéma sur les pertes à Gaza comme pour justifier implicitement la manifestation. "Quel va être l’impact de cet événement sur les Juifs de France? Il pourrait jouer le rôle que des faits de ce type ont rempli dans le passé pour les Juifs du monde arabe: un événement symbolique très fort (une émeute,un assassinat…) tout ce serait plausible car c’est comme si l’exclusion des Juifs, qui avait commencé en Afrique du Nord et qui, d’une certaine façon menace, depuis, ceux d’entre eux qui ont trouvé refuge en Israël, se poursuivait sur le sol français. De la « Françalgérie »?" The radical Islamic State of Iraq and Syria (ISIS) group has destroyed shrines belonging to two prophets, highly revered by both Christians and Muslims, in the northern city of Mosul, al-Sumaria News reported Thursday. 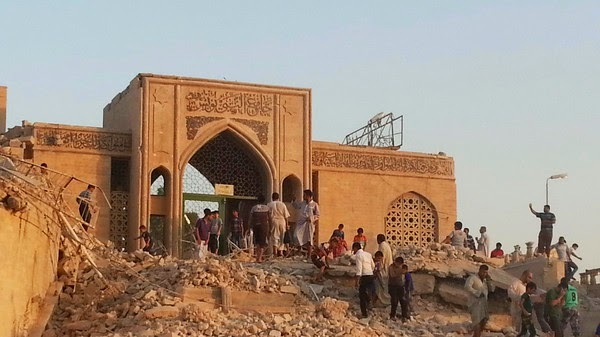 “ISIS militants have destroyed the Prophet Younis (Jonah) shrine east of Mosul city after they seized control of the mosque completely,” a security source, who kept his identity anonymous, told the Iraq-based al-Sumaria News. “The militants closed all of the mosque doors and prevented worshipers from entering to pray,” the source said. A witness who did not wish to give his name said that ISIS militants “first stopped people from praying in it, they fixed explosive charges around and inside it and then blew it up in front of a large gathering of people,” according to Agence France-Presse. An endowment official, who spoke on condition of anonymity, and Mosul residents told AFP it took the Sunni extremists an hour to rig the shrine with explosives. The endowment official said the Islamic State jihadist group that overran large swathes of northern and western Iraq last month have now destroyed or damaged 30 shrines, as well as 15 husseiniyas and mosques in and around Mosul. “But the worst destruction was of Nabi Yunus, which has been turned to dust,” he said, according to AFP. In the Quran and the Bible, Prophet Jonah is famous for being swallowed by a fish. Dating back to the 8th century BC, Jonah is believed to be buried in Mosul and his tomb also a mosque is considered to be one of the few historic mosques found on the eastern side of the city. Meanwhile, a local Mosul official, Zuhair al-Chalabi, told al-Sumaria News on Thursday that Prophet Daniel’s tomb was also destroyed. 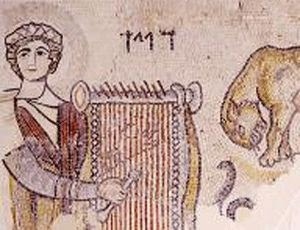 While Daniel is considered to be a prophet by Muslims, he is not mentioned in the Quran. “ISIS implanted explosives around Prophet Daniel’s tomb in Mosul and blasted it, leading to its destruction,” he told Al-Sumaria News. ”Mosul is living in an extremely hard and horrible situation,” Chalabi warned. 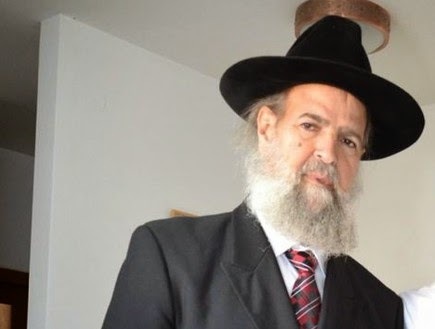 Assaulted Moroccan rabbi: 'we are all equal"
Rabbi Moshe Ohayon (pictured) declared his trust in Moroccan tolerance to a group of well-wishers earlier this week, despite being beaten up by a young man 'for what Israel is doing in Palestine', according to World Moroccan News. Funny how the culprit in these cases always seems to be acting alone, and invariably has a history of mental illness. Rabbi Ohayon insisted that all Moroccans are equal. They were “weaned on the same milk, He noted.” Being a staunch supporter of the Moroccan King, he expressed his dislike of anti-monarchy movements. “He did not stop hitting me until the blood flowed. What shocked me the most is that nobody in the street tried to help me,” said Rabbi Ohayon. After returning home, Mr. Ohayon called the police and the attacker was arrested. The attacker, who had a history of violence against Jews, was apprehended the next day. The police declared that the suspect suffers from a mental disorder. "The situation of the Jews in Egypt was termed today as "highly alarming" by a Frenchman who returned from Cairo and gave the first detailed and uncensored report of the pogroms, mob violence, mass looting and terrorism which is now taking place throughout Egypt against the Jewish population. "Egyptian mobs, he revealed, killed three rabbis by splitting their throats, after dragging them into a Cairo slaughter house. He estimated that at least 150 Jews had either been killed or had "disappeared" in Cairo incidents during the last four weeks. A substantial number of Jews had been wounded, he said. The pogroms and anti-Jewish terrorism are tacitly encouraged by the passive attitude of the Egyptian Government, he charged. "The gravest single incident, he reported, occurred on July 20 at one of Cairo’s chief street car junctions, in Malika Farida Placo. An organized group of Egyptians ejected all the European passengers from several trolleys. All passengers suspected of being Jews were savagely killed on the spot, and many had their eyes pierced or were knifed, while non-Jews and Europeans were robbed of all cash and belongings. The police made no effort to intervene, the French visitor emphasized. "Of the large number of Jews in Cairo who have been wounded, he continued, 120 are now undergoing treatment in the Jewish hospital there and an unannounced number are in government or private institutions. Scattered incidents of knifing of Jews are repeatedly reported in various parts of the Egyptian capital, he said. The killing of three rabbis in the slaughter house took place on July 21, he reported. "Both Jews and Europeans were attacked earlier in July when they left large motion-picture theaters, the French traveler stated. 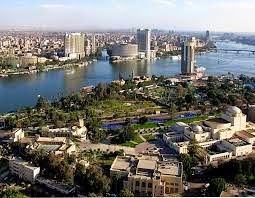 The most violent of these attacks, he declared, occurred near the Odeon and Rivoli Theatres, in the center of Cairo, on July 17. The fury of the Arab mob sent 20 persons to hospitals. It was in that assault that one Henri Gaillard, a French national and an Olympics trainer, was fatally wounded by seven knife stabs. Gaillard fought back and succeeded in killing four of his assailants before he collapsed and died, the informant said. "On July 26, the Frenchman asserted, Jews living in Cairo in the neighborhood of the Royal Palace or in government-owned houses were ordered to move out within 48 hours. That order, he said, provoked a considerable number of "panic-stricken removals" in the course of which an Arab mob stole or destroyed the belongings of those evicted. "Since July 28, the informant reported, there has been some tightening up of security measures, apparently after strong representations were made to the Egyptian Government by Jefferson Patterson, the United States charge d’affaires, following the writer of Stephen Haas, a Philadelphia Jew. The informant revealed that Haas body was found knifed to death, castrated, with the nose and ears severed, at a point near the Citadel, although initial reports from Cairo stated that the Philadelphian had been stoned to death by an Arab mob. "Emphasizing that, in general, the position of Jews and Europeans in Egypt continues to be highly alarming, the Frenchman asserted that only those Jews who are now in Egyptian concentration camps feel comparatively safe. It was his impression that the Egyptian and other Arab military failures in Palestine had resulted in bitterness not against the Egyptian Governments and its leaders who were responsible for the Arab military fiascoes, but against the Jews who are their hostages. "Mass detention of Jews is continuing, he said, under the pretext that one or another Jew had insulted King Farouk or even because they had been found in possession of some Hebrew literature. There was widespread speculation among Europeans in Cairo over whether the continuing bombing of Jewish enterprises was committed by the Moslem Brotherhood or other non-official groups or by Egyptian Government agents, he declared. The Sephardim of Sarcelles in Paris have been re-living the violence which chased them out of the Maghreb a generation ago. On 19 July, a banned pro-Palestinian demonstration got out of hand, Nidra Poller writes in New English Review. The demonstration scheduled for Saturday July 19th was banned. Unless I am mistaken, France is the only country that took this step. The organizers appealed, their appeal was rejected. So what did they do? Stay home and write op-eds? Send pizzas to the harassed citizens of Gaza? No, they proudly and publicly declared they would demonstrate anyway. Loudly proclaiming their democratic right to march, they trampled on the duty incumbent on law-abiding citizens. This time the stampede didn’t get far past its starting point in Barbès. Riot police hemmed them in [they are complaining about police brutality]. They weren’t rounded up and sent to jail for breaking the law. So they showed their appreciation by going wild, tearing up the asphalt and throwing chunks at the police; injuring 15. They set fire to cars, garbage cans, wooden pallets, and Israeli flags, smashed whatever was in reach, wreaked havoc for hours on end. And there were no Jewish Defense League boys to blame it on. An informative article in Le Point describes the assault on the Lariboisoière Hospital. The security guards were outnumbered [disproportionate force? ], ran for cover. An elderly man shouted at the mob, “Are you crazy, that’s a hospital.” “It’s a Zionist hospital,” they shouted. But didn’t burn it down…this time around. Today, they did a repeat performance in Sarcelles, known as little Jerusalem because a large contingent of the Sephardic Jews chased from the Maghreb settled there in public housing. For which they were grateful. From which many moved on to successful careers. And those who still live in neat and clean Sarcelles are constantly harassed by their Muslim neighbors in Gonesse. Many Jewish men have been attacked at the train station that serves the side by side Again, riot police were locked in battle for five hours while residents hunkered down in their homes. How is the government going to deal with this flagrant and ever more violent disrespect? What will be the consequences for the New Anti-Capitalist Party, the NPA, the extreme radical far left anti-capitalist party that got about 1% of the vote in the last municipal elections, and suddenly appears as an organizer of these stampedes? 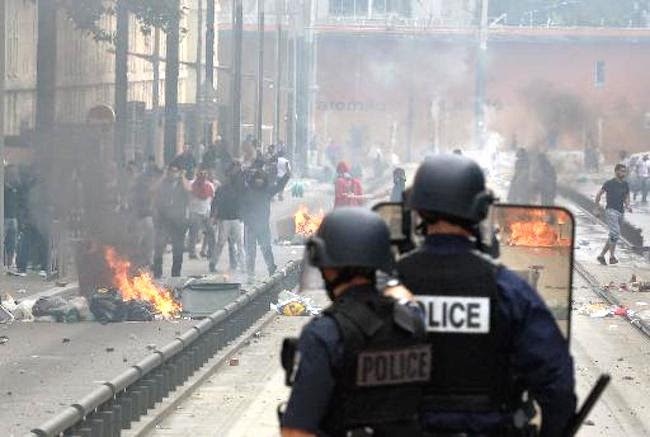 In 2005 the insurrection was almost exclusively confined to the banlieues, on the other side of the péripherique [ring road]. This time it penetrates to the center of Paris and it is fired with murderous hatred of Jews. Many who fled the Maghreb say it reminds them of those times. Some observers are saying this looks like the early stages of “pogroms” but I think the appropriate term would be “farhud.” [“ violent dispossession” in Arabic, a reference to the 1941 Nazi–inspired jihad pogrom in Baghdad]. Nine months after it took place at the Yale Center for the Study of Antisemitism, here is a video of the morning session of the conference: Exodus or exile: the departure of Jews from Muslim countries, 1948 - 1978. Twenty-nine minutes into the clip, the French historian Georges Bensoussan gives a paper in English (19 minutes): hostages to the Palestine conflict, Jews in Arab countries in the 1930s. He describes how Arab nationalism excluded the Jewish population, increasingly perceived as a national minority. It could not tolerate such national minorities - witness the massacre of Assyrians in Iraq as soon as the country became independent. The Jews were better educated than the Muslims, and were identified with colonialism. The Jews, on the other hand, feared the return of 'dhimmi' oppression if the Arabs became independent. A branch of Arab nationalism was fascinated by Nazi Germany: paramilitary groups flourished. In the 1930s Palestine became the vessel into which Arab frustrations were poured. Zionism and Judaism became increasingly blurred, as the Palestine cause took on an increasingly islamic hue. But Iraq and Yemen prove that antisemitism could thrive in countries no longer under the colonial yoke. Nazi Germany financed antisemitic groups in the Arab world. The Jews became scapegoats as Nazi propaganda, such as the 1925 Arabic edition of the Protocols of Elders of Zion, gained influence. The Mufti was not alone in spreading antisemitism. There was a nazification of Arab nationalism and a marginalisation of Jews, 40 percent of whom were denied nationality in Egypt, and subject to quotas and excluded from the army and diplomatic corps in Iraq. It is interesting that in the Q&A, questioners cast doubt on Bensoussan's use of the term 'nazification', and accused him of being an activist, not a bona fide historian. Few video clips by Corey Gil-Shuster are quite as remarkable as his interview with Eva, who was born in Basra, Iraq, and left for Israel in 1966. Eva remembers the terrible events of the 1958 revolution, when members of the Iraqi government and the royal family were brutally murdered with unspeakable cruelty. They included her best Muslim friend and her sister. The prime minister Nuri Said tried to disguise himself as a woman, but was given away by his pyjamas protruding from beneath his abaya. He was lynched and his body cut up into tiny pieces. Eva saw it all. Eva's father moved from Basra to Baghdad to escape being hanged. We are not given many details, but he may have been involved in the Zionist underground. Eva was smuggled out of Iraq via Iran. She helped plan the escape of an arabised Jewish woman with 'clear eyes' flee her Muslim husband. Another 'blond with light eyes' which she met en route to Israel complained that she had been kidnapped from her Jewish family. We are not clear exactly what happened, but Eva lifts the veil on what one suspects was a significant issue for Jewish women in Iraq (especially beautiful Jewesses): the ever-present threat of being abducted or forced into a marriage with a Muslim. The arabised woman made it to Israel, possibly with her son by the Arab. She was thought to be living on a kibbutz, but Eva has lost contact with them. Corey Gil-Shuster includes an appeal for information about them at the end of the video. 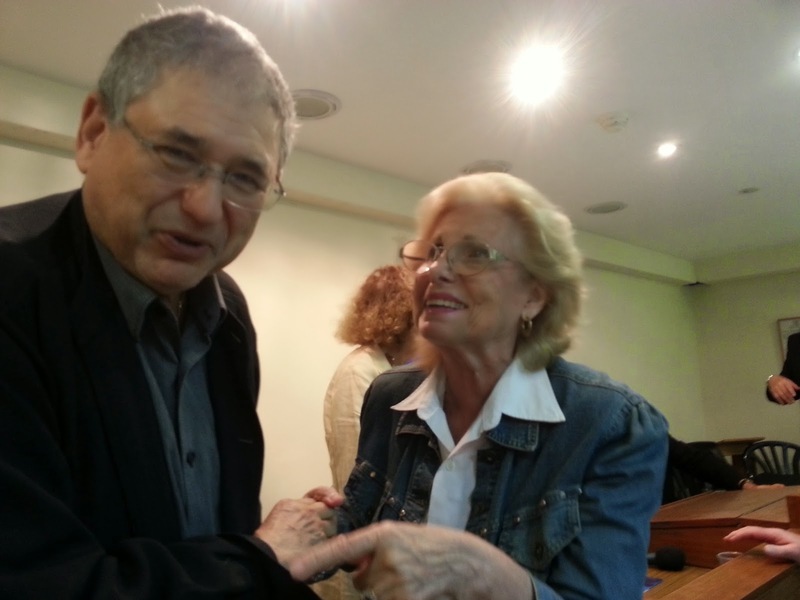 "It is impossible to live with Arab Muslims", Eva tells Gil-Shuster. "Iraq's a land that devours its own inhabitants"...." One minute they can be your best friends, then, if they get mad, your worst enemies." On July 13, Bernard Abouaf, a French Jewish journalist, posted on his Facebook wall: “I just passed through one of the truest moments in my life.” A bit earlier, he had been an eyewitness to a pogrom attempt. About one hundred Muslim thugs had gathered in front of the Don Isaac Abravanel synagogue in Central Paris, a few blocks away from Place de la Bastille (Bastille Circle), and threatened to storm it. Two to three hundred worshipers, who had gathered for a pro-Israel religious service, were locked inside. There were five police officers to protect them–and two dozen Jewish youths trained in martial arts who were members of the Jewish community sponsored Security Organization or of the more militant Jewish Defense League. For Abouaf, whose family is of Tunisian Jewish descent, the whole scene looked like a reenactment of the storming and torching of the Great Synagogue in Tunis during the Six-Day War in 1967: a traumatic event that accelerated the flight of Tunisian Jews to France or to Israel. “What I have seen today,” he remarked, “is Arab hatred against Jews. Pure hatred. Right in the middle of Paris. Don’t try to ‘explain’ or ‘understand’, it was hatred, period.” Irving Kristol famously said that a neoconservative was a liberal mugged by reality. Something similar was befalling Abouaf. This was the “truth” he was so eager to share. The Don Isaac Abravanel synagogue was not stormed. Its bunker-like shape (it was built in 1962) and its strong, straight, iron gates were probably helpful. Even more effective were the young Jewish defenders*, who did not shy away from confronting the Muslim rioters. Older Jewish men and women, some in their late forties or early fifties, fought back as well. “The whole thing looked like street guerilla (warfare),” one witness said. At least two of the synagogue’s defenders–including a young Chabad chassid–were severely wounded and rushed to a nearby hospital. *The UK Daily Mail has published a perverse account of these events, misleading readers into believing that these young defenders were attacking the keffiyah-clad mob, and not the other way around. The Simon Wiesenthal Center, whose mission is to fight antisemitism, faced questions last week at a B'nai B'rith symposium in Israel about its failure to include Jews from Arab countries in the UNESCO exhibition, People, Book, Land: the Jewish people's 3, 500 year-old relationship with the Holy Land. Dr Shimon Samuels, director for International Relations, explained that the exhibition marked the first time since 1947 that a UN agency had recognised Israel as a Jewish state. It was an occasion to 'put our cards on the table'. He admitted that Wiesenthal had lost its fight to include the words 'Land of Israel' in the title. He blamed Arab-Israeli politics. The exhibition, which Arab countries had tried to get cancelled altogether, was only one battle of many. 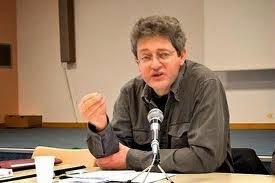 Of the failure to include a panel on Jews from Arab countries, however, Dr Samuels said nothing. Levana Zamir, Justice for Jews from Arab countries (JJAC) representative and president of the association of Jews from Egypt, asked Dr Shimon Samuels why he had journeyed to Israel without expressing one word of regret to the 50 percent of Israeli citizens who are Jews from Arab countries. Dr Samuels declared that he had worked for 25 years on the Holocaust, that he knew of JJAC's work and had been part of the (now defunct) World Organisation of Jews from Arab Countries (WOJAC). "There are many subjects,"he said." I cannot deal with all of them." Dr Samuels' approach contrasted with that of the author of the exhibition, Professor Robert Wistrich. The historian gave a long and apologetic presentation. His work was subject to scrutiny from a 'surveillance committee'." It was clear that certain themes could not be accepted," he said," especially the plight of Jews from Arab countries after the creation of the state of Israel." The panel on Jews from Arab countries was completely removed because of UNESCO's relationship with Arab countries, he said. All text had to be 'scientifically proven.' UNESCO asked that Professor Wistrich include a source reference to support a single sentence on emigration statistics from Arab lands. They also demanded proof that Andrei Gromyko, USSR foreign minister, had spoken of the link between the Jewish people and the land of Israel. Professor Wistrich expressed his hope that the missing panel on Jews from Arab countries would be restored in exhibition venues with no association to UNESCO. The UNESCO exhibition caused consternation among JJAC delegates who happened to attend its inauguration in Paris on 11 June. JJAC pledged to follow up on the absence of Jews from Arab lands from the exhibit with the Simon Wiesenthal Center. "You came here after being banished from Spain," Yeni Akit correspondent Faruk Köse wrote Wednesday in an open letter to Hakham Bashi, the chief rabbi of Turkey's Jewish community. "You have lived comfortably among us for 500 years and gotten rich at our expense. Is this your gratitude – killing Muslims? Erdogan, demand that the community leader apologize!" 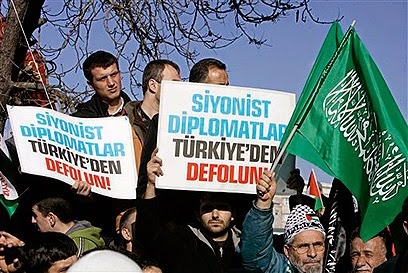 In the right-wing newspaper's editorial, Ali Karahasanoğlu wrote: "After the barrage of missiles which hit the capital city of Tel Aviv, Israel has been pushed into a corner and is crying out for a ceasefire, which at the moment only serves Israel and the United States. "The IDF is using forbidden weapons, intentionally killing children and murdering Muslims for the sake of murdering Muslims. Hamas is unprepared to accept dictations from Israel and the US, and will only lay down its weapon after its understandings are accepted. "While all this is happening, the journal of the Jewish community in Turkey, 'Shalom,' is referring to the murder of children in Gaza as 'taking care of terrorists.'" (...) "I have never felt as threatened as I have in the past year," says Linet, a textile importer. "The government is inflaming the hatred and anti-Semitism and we are simply living in fear. "Many of those who have not left yet – and the vast majority of Jews immigrated to Europe and Israel a long time ago – are weighing their options," she adds. 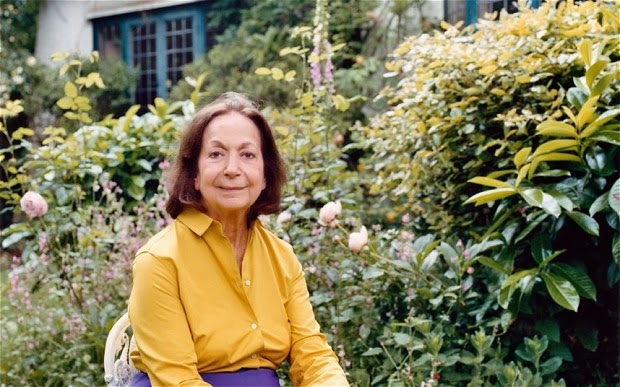 Claudia Roden tells the Daily Telegraph how nostalgia for the food of her country of birth - notably ful mesdames bean puree - set her career off as a food writer. As a Jewish refugee from Egypt, she was the first generation of Jewish women forced to go out to work - a source of embarrassment for her father. But the convivial, leisured life of the Cairene haute-bourgeoisie was not without its restrictions, especially for girls, though Roden, a keen swimmer and a national backstroke champion when she was only 15, was more outgoing than some. In those days Cairo was home to Arabs, Jews, Turks, Armenians and Copts, who all co-existed peaceably, but food culture was divided more on class than national lines. The family would rarely have eaten ful medames, a purée of brown beans that was sold and eaten in the street, yet this was the dish that started Roden, unwittingly, on her career as a food writer. In 1953, at the age of 15, she was sent to boarding-school in Paris, and every Sunday she and her brothers were invited to the home of relations to eat this humble bean purée, the Egyptian national dish, which reminded them so intensely of home. The homesick Roden immediately tried to find out how to make it. The lesson was not lost on her – you could evoke a whole country and a way of life in a single dish. Then, in 1956, Nasser expelled the Jews from Egypt and her parents, Nelly and Cesar, arrived penniless in London. Roden left art school and took a job at Alitalia to earn money for the family. “My father was ashamed that a woman in his family was working. He felt he should be the family provider,” she says. A stream of visitors from all over the Middle East joined the family for Friday-night suppers, where they would talk nostalgically of the taste of home and all the dishes that reminded them of everything they had lost. Roden started hoarding their recipes, written on scraps of paper, intending just to cook them herself. These were to be the germ of A Book of Middle Eastern Food. My family has roots in Gaza. We were there a century ago. OK, technically it is my wife’s family. I am married to the granddaughter of Nissim Ohana, the rabbi of Gaza City. But let’s back up a bit here. In Genesis, Gaza is explicitly listed as part of the Land of Israel promised to the Jews. It was conquered by the tribe of Judah during the era of the Judges, though it was later recaptured by the Philistines. It was captured again by the Jews during the time of the Maccabees, only to be seized by the Romans, who handed it over to King Herod. Gaza had a small Jewish community during the era of the Talmud. A synagogue was erected near the Gaza waterfront in 508 CE. A survey of the town in 1481 found about 60 Jewish households there, many producing wine. Later, quite a few followers of Shabbtai Zvi lived there, including the famous Natan of Gaza. There was a thriving Jewish community in Gaza when Napoleon arrived in 1799 via Egypt, but a plague followed his troops and the Jews abandoned the city. The modern Jewish community of Gaza got its start in 1885. The initiator of the community was Zeev Wissotzky, scion of the Wissotzky tea company (founded in 1849 in Moscow and still to this day Israel’s largest tea producer). 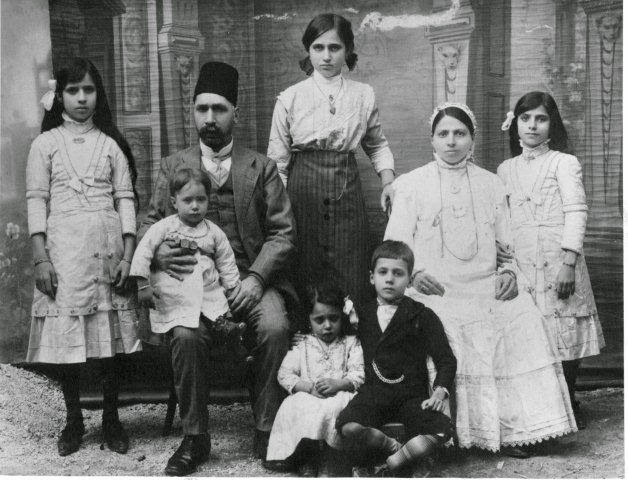 In 1907 a young rabbi named Nissim Ohana, educated in the Sephardic yeshivas of Old Jerusalem, arrived in Gaza. He set up a school in Gaza named Talmud Torah whose language of instruction was exclusively Hebrew, an unusual and controversial decision at the time. Eliezer Ben-Yehuda, the initiator of the use of Hebrew as the language of communication in the pre-state yishuv, was so impressed that he paid the school a personal visit. In those days, Muslim-Jewish relations in Gaza were cordial, even warm. Rabbi Ohana maintained a close relationship with the local mufti, Sheikh Abdallah al-’Almi. The rabbi was well versed not only in Judaic sources but also in the Koran and the New Testament, and occasionally the mufti would consult with him concerning judicial questions arising in Islamic law. The mufti was particularly worried at the time about the influence of Christian missionaries on local Muslims and he asked Rabbi Ohana for help in countering the missionaries’ claims. Later, Rabbi Ohana compiled his anti-missionary arguments in a book titled Know How to Respond to an Apikores, still one of the best such volumes. When World War I broke out, the ruling Ottomans ordered all “foreigners” to leave their territories. Rabbi Ohana had a French passport (his father having been born in Algeria) and was forced to leave. Rabbi Ohana served for a while as the rabbi of Malta, then as rabbi at a small Syrian synagogue in Manhattan. He went on to head the rabbinical court in Cairo before moving to Haifa, after Israel became a state, to serve as chief Sephardic rabbi of Haifa. The Gaza Jewish community was destroyed by rioting Arabs in 1929, with surviving Jews fleeing to other towns in what would become Israel. Jews returned to the area after the Six-Day War, but when Israel adopted the Oslo “peace process” as national policy, Gaza terrorism exploded and the Jews in the renewed Gaza communities faced mortal danger. Their actual eviction, however – the third ethnic cleansing of Gaza Jews in less than a century – was perpetrated by the government of Ariel Sharon, years after the collapse of Oslo. But back to Rabbi Ohana of Gaza. In the early 1980s, one of his granddaughters met an American who was teaching at the Technion. Convinced that American men were far too goofy for her to have any romantic interest in any of them, she agreed to go on a date with him only so that she could tell him about her available single American girlfriend. But she never got around to introducing the American to her girlfriend. And while her opinion about the goofiness of American men is undeniably correct, she married me anyway in 1985. One last strange twist: A grandson of the mufti of Gaza is today a leading Hamas terrorist, and has served as the Hamas representative in Damascus. Some of Rabbi Ohana’s grandchildren in Israel are in possession of manuscripts written by the mufti. It is their hope that once Hamas is finally defeated and peace is established, the manuscripts will be turned over to the descendants of the mufti, Rabbi Ohana’s close friend. News Online - "The Mufti (the Muslim spiritual leader who issues religious edicts) of the Republic of Egypt, Dr. Shawki Alam, denounced the ISIS (The Islamic State) terrorist organization act of demolishing the shrines and the sites of the prophets and righteous people in Iraq, and most recently the demolition of the tomb of God’s Prophet Younus (Jonah), peace upon him. The Mufti of the Republic stressed that assaulting the sanctity of the prophets and the inviolability of the shrines, and digging up the graves of the prophets and the righteous by this terrorist organization is not recognized by any Muslim doctrine. "It is an act that has nothing to do with Islam or any religion, and also exceeded all the limits of normal human nature that respects the sanctity of the dead (people) and exalts their holy sites. The Mufti of the Republic indicated that these extremists are ignorant of the spirit of the Islamic religion and did not read the biography of .... prophet (Muhammad) ……, which mentioned that the prophet,… lived for 13 years in Mecca and came nowhere near the idols of the infidels, which were in the hundreds, so how could (he come close) to the tombs of the prophets and the righteous?! " The Mufti of the Republic appealed to the responsible authorities in Iraq, the international organizations that are concerned with the humanitarian heritage such as UNESCO and others to quickly and urgently intervene to protect the Islamic holy sites, which are among Iraq’s cultural, historical and archaeological monuments." *Misleading video: A video purporting to show ISIS destroying the tomb of Jonah has been circulating recently in the western press. It bears an uncanny resemblance to this 2013 video, disseminated by the Iranian Press TV, showing the destruction of so-called Jewish tombs in Syria. Strong language from Siamak Marreh Sedq, Iran's only Jewish MP - if indeed he said those words attributed to him by the Iranian News Agency FNA of his own volition. 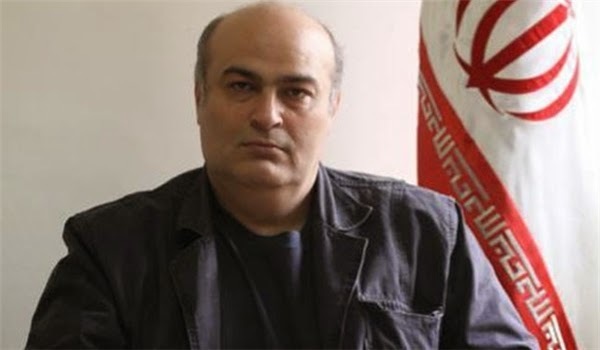 TEHRAN (FNA)- Representative of the Jewish minority at the Iranian Parliament Siamak Marreh Sedq condemned Israel's recent attacks on the Palestinians, saying that Tel Aviv's criminal acts reminds everyone of the crimes committed by the Nazis during the first and second World Wars. “The Zionist regime's crimes are reminiscent of the actions taken by the German Nazis during the first and second World Wars,” Marreh Sedq told FNA on Monday. He added that Israel's crimes against the Palestinians are also a reminder of the mistreatment of Shiites by the executed Iraqi dictator, Saddam Hussein. Chairman of the Iranian parliament's National Security and Foreign Policy Commission asked his world counterparts today to break silence on Israel's savage attacks on the defenseless Palestinian people in Gaza. In separate letters to his counterparts in 46 countries of the world, including Russia, Mexico, Venezuela, Palestine, Yemen, Ecuador, Algeria, Kyrgyzstan, Sudan, the Philippines, Uganda, Belarus, Ireland, China, Brazil and Jordan, Chairman of the Iranian parliament's National Security and Foreign Policy Commission Alaeddin Boroujerdi blasted the international bodies which claim to be supporting human rights for their inaction vis-a-vis the killing of the defenseless and fasting Gaza Muslims by the Zionist regime. Also, Iranian Parliament Speaker Ali Larijani in separate phone conversations with his Malian and Sudanese counterparts on Monday underlined the need for holding a troika meeting of the Parliamentary Union of Islamic Cooperation (PUIC) to discuss the Israeli attacks on the Gaza Strip and slaughter of the innocent Palestinians. The BBC carried a report of Jews and Muslims breaking the Ramadan fast with a ‘Kosher’ Iftar meal in a London synagogue. 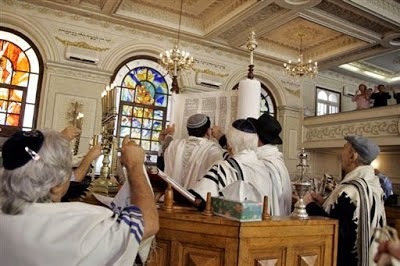 According to the Times of Israel, another London rabbi, Natan Levy, ‘ stunned members of the Jewish community by observing the Islamic month of fasting after witnessing first-hand the lack of engagement between the two faiths’. The latter demonstration of ‘interfaith harmony’ is the saddest of all. 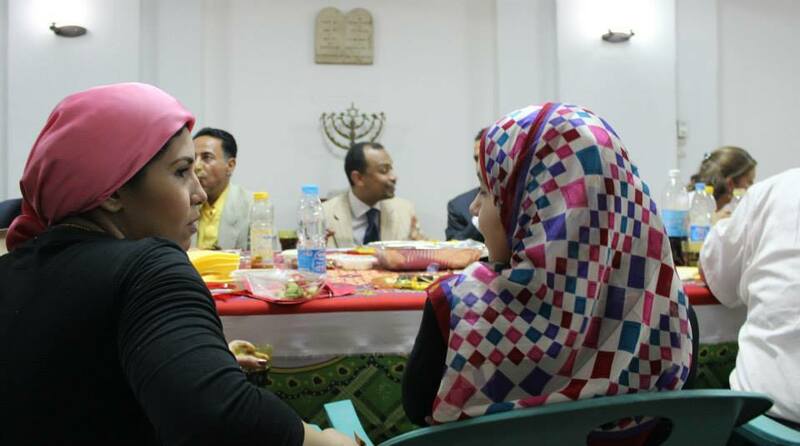 The Egyptian Jewish community comprises just 15 people, mostly widows or elderly women married to non-Jews. They are led by the fiercely anti-Zionist Magda Haroun, 62. She is her father’s daughter. So fanatically patriotic was Shehata Haroun that he chose to let another daughter die of leukaemia rather than forfeit his Egyptian nationality to seek medical treatment abroad. Since becoming leader of the Jewish Community Council in April 2013 on the death of her predecessor Carmen Weinstein, Magda has not done much to celebrate her own faith: at least Carmen marshalled what was left of Egypt’s Jews, together with Israeli diplomats and interested tourists and well-wishers, to mark Jewish festivals. Since Carmen’s passing, the Jewish community has not celebrated the Passover Seder. It was cancelled this past year – ostensibly out of respect for Magda’s sister Nadia, who died suddenly aged 59. Similarly, the community found excuses not to mark Rosh Hashana in 2013. Magda wants to show that Jews are good Egyptians; they built Egypt. They must not be confused with Zionists. But the spurious distinction between Jews and Zionists did not save a thriving 80,000 strong community from being expelled. Jews were targeted not for what they believed, but what they were. Neither can Zionism be the pretext for the persecution of Egypt’s other harassed minority – its eight million Coptic Christians. As if it is not enough for the Jewish presence to be wiped out across the region, Jewish history is being erased, synagogues are being demolished, and ancient shrines with a distinctive Jewish character converted to mosques. This does not mean that Jews and Muslims should not share each others’ festivals. These well-intentioned grass-roots initiatives humanise Jews and Muslims to each other, especially during times of war. After all, more and more Gentiles, all the way up to the White House, are celebrating the Passover Seder. Why should Jews not mark the most important month of the Muslim religious calendar? There is a difference, however. Whereas Natan Levy belongs to a robust Jewish community with the self-confidence to practise its faith, Magda Haroun is a beleaguered ‘dhimmi’. She has failed to call Muslim Egyptians to account for driving her community to extinction. Instead they are allowed to feel good about themselves and their ‘ tolerance’ of others. The sun is setting on the Jewish community of Egypt. Soon there will be ten, or five Jews left in Egypt. How few do there need to be for someone to hail them as proof of Egyptian ‘pluralism’? Magda, as the youngest Jew in Egypt, will be the last person to turn off the light. At the Iftar celebration at the Adly synagogue in Cairo, Muslims by far outnumbered Jews. After three thousand years, Egyptian Judaism is on its last legs, and Jewish life reduced to empty synagogues without Jews. 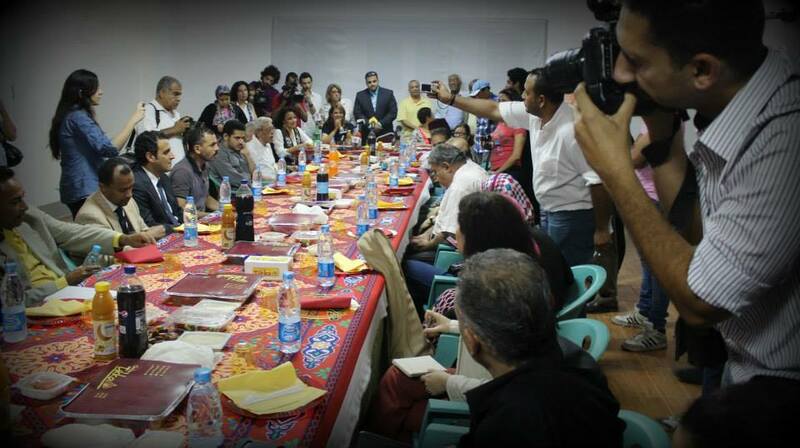 This Iftar celebration marked the triumph not of ’tolerance’, but of capitulation, humiliation, and ethnic cleansing. Abraham Salman, one of Israel's greatest Kanoon players has died, aged 83. Salman immigrated to Israel from Iraq in the Fifties and played in the Israel Radio Arabic orchestra until the late Eighties. He would show up wearing dark glasses because of his blindness. Among other things, Salman produced an album of his old recordings from the sixties. He also worked with Danny Sanderson. "I was privileged to grow up with such a father," Gili, his son, eulogized him. "I grew up with the band Kaveret. They used to rehearse at our Galilee home with my father.Thanks to him I led a special life. " Salman is survived by a wife, three children and six grandchildren. Point of No Return adds: Salman was a product of the School for the Blind in Baghdad. The school trained the Jewish blind as musicians so that they would not have to beg on the streets. Jews dominated music in the early part of the 20th century and all but three of the 250 members of Baghdad Radio Orchestra in the 1930s were Jews, many of them blind. The al-Kuwaity brothers are back! The rabbi of the Jewish community in Casablanca, Morocco, Rabbi Moshe Ohayon, was badly beaten on Friday as a retaliation by locals for Israel’s airstrikes in Gaza. According to Channel 2 News, a young man whose identity is known to the police, waited for the rabbi as he was walking to synagogue, then confronted him and kicked him. The assailant then continued to beat the rabbi, breaking his nose and causing serious injuries in his ribs. The rabbi said that he begged for help but the passers-by ignored his cries. The Jewish community in Morocco condemned the incident and said that its members fear a rise in anti-Semitism as the IDF continues Operation Protective Edge. "Since the recent incidents in Judea, Samaria and Gaza began, there is an increase in harassment of Jews. It has become really scary to live here," a member of the Jewish community was quoted as having said. It was also reported that, in the wake of the rabbi’s beating, the heads of the local Jewish community have asked the police to beef up security around Jewish institutions in Casablanca. The iftar, the breaking of the fast at sunset during the Islamic Holy Month of Ramadan, had been called for by the Egyptian Alliance for Minorities. “This is an event of importance, especially that we here, in Egypt, are not foreign to the idea of uniting Christians, Muslims and Jews,” said journalist Karina Kamel to Aswat Masriya. During the iftar, Magda Haroun, President of the Jewish Community, described the importance of changing Egyptian mentality towards Judaism. ‘Al-Azharoun for a Civil State Movement’ member Sheikh Mohamed Abdullah Nasr, who also led a prayer for Muslims at the Synagogue, expressed similar sentiments. “Firstly, this great initiative comes from a community and a time that is very sensitive. A time to show us that there is a difference between Zionists and Jews (my emphasis - ed),” stated Sheikh Mohamed Abdullah Nasr. Despite the iftar being the first of its kind, the Egyptian Alliance for Minorities asserted that this is simply the start of many similar events planned in churches, mosques and other community centres. “We are all Egyptians. What concerns us is our nation’s benefit,” declared Jewish Community leader Magda Haroun. The Sephardi Voices project to record the lives of Mizrahi and Sephardi witnesses to Jewish history will create a sense of pride and continuity, Professor Henry Green, the man behind the project, tells Haaretz. Since Green launched his Sephardi Voices project in 2009, he has filmed around 300 Mizrahi Jews who immigrated to Britain, Canada, France, the United States and Israel. They have told him about their prosperity living in Arab lands as well as the persecution and expulsion. Until the establishment of Israel in 1948, 1 million Jews were living in Arab countries, most from ancient communities. After 1948 the persecution worsened until most were forced to leave their property behind. Many moved to Europe and North America; most came to Israel. Green estimates that about 70 percent are no longer alive. Green has interviewed people describing pogroms and other atrocities: 150 Iraqi Jews killed in June 1941, 130 Libyan Jews killed in Tripol in 1945, and dozens of Jews killed in Egypt in 1948. In the 1970s Green studied at the Hebrew University of Jerusalem, when he heard about the travails of Mizrahi Jews — in Israel, where they protesting injustices at the hands of the Ashkenazi establishment. If Green meets his goal, within a few years he will have filmed interviews with around 5,000 people. In the countries involved, Sephardi Voices is being carried about by local staff. Most participants are volunteers who take donations that pay for the film crews. The project joins a number of others around the world over the past two decades that have documented the lives of witnesses to Jewish history. In Israel there are two projects documenting the War of Independence and its veterans. Holocaust survivors have been recorded by Yad Vashem and Spielberg’s Survivors of the Shoah Visual History Foundation. Tens of thousands of people have been interviewed, most of them Ashkenazi. Green’s efforts represent a different Zionist story that expands the Jewish identity that we’re familiar with, he says. Green is in contact with the National Library about the possibility of making his work available to the public. In the meantime, the testimonies can be viewed at the British Library in London. They are not available on the Internet. Only five Israelis have been interviewed for the project so far. The project in Israel will now include cooperation with the Institute of Contemporary Jewry, Hebrew University’s Division of Oral History and the Babylonian Jewry Heritage Center.